Earlier this semester, our ENVS class did a lab which used ArcGIS to study environmental justice in Portland. This was my first form exposure to environmental justice in college, and I was excited to be able to engage with the movement through environmental analysis. 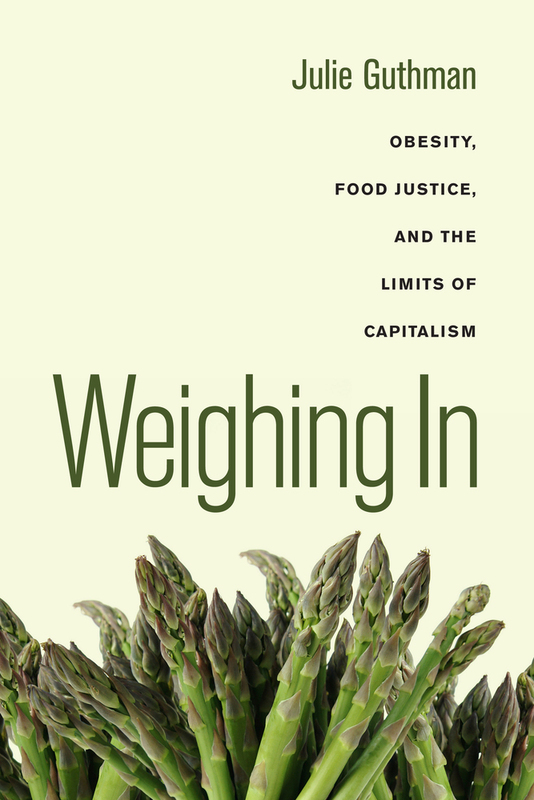 In the past couple weeks I’ve had the opportunity to read Julie Guthman’s Weighing In: Obesity, Food Justice, and the Limits of Capitalism in my Political Economy of Food class. It was great to be able to read the book in conversation with our EJ lab. In Weighing In Guthman takes the complex issue of obesity head on, making the effort to address (and then swiftly and elegantly dismantle) the many arguments and misconceptions about obesity that our culture and political economy have created and perpetuated. Guthman blows apart the logic behind the assumption that obesity is the product of the consumption of too many calories and too little exercise. Instead, Guthman makes an important contribution to the environmental justice movement when she argues that obesity can be attributed to environmental factors like endocrine disrupting chemicals (EDCs). Guthman also tackles the idea that obesity occurs because people have a lack of access to the “right” foods due either to proximity or affordability. When obesity persists in areas where proximity and affordability are not obstacles to access of the “right” foods, it is often explained by apathy or lack of education about the “right” way to eat. Guthman explains that our neoliberal environment and political economy place an impossible emphasis on personal responsibility, and lead many to make unjust moral conclusions about why and why not people are obese. These conclusions prevent us from properly accommodating the complex nature of obesity. One of the most important points Guthman makes is that tools like GIS have lent credibility to data correlations that imply false and dangerous causations. She includes examples of maps made with GIS that have worked to convince many people that obesity can be explained by income and location. This section devoted to GIS’s mystification capabilities caused me to reflect on many of our ENVS 220 labs. I am grateful to have been taught skills in GIS this semester, and that I’ve been encouraged to take care when describing the conclusions I draw from the maps I create. Previous Post Update: Project Progress! Next Post ENVS-220 Environmental Analysis: The End!